The Ace Race ® Golf Team Building Event is a fun and interactive team building activity that combines a fun game like golf with a charity team building event. Really fun! Want to have an absolute BLAST on your next team building adventure? Have a bunch of golfers who always skip out on parts of your convention to catch 18 holes? Then the Ace Race ® Mini-Golf for Charity is for you. In the Ace Race ® Golf Team Event for charity participants build a mini golf course out of non-perishable food items later donated to a local food bank. This philanthropic team building event organizes your participants into small groups of four to six people. Each group acquires “materials” to build a single hole of a custom golf course right in the banquet hall or meeting room. The “materials” that they acquire are non-perishable food items such as Macaroni and Cheese boxes, canned goods, spaghetti sauce jars, and the like. Participants use to these items to build their hole of the course. Everyone loved the event and was perfect for our group! Once the custom golf course is built, the groups compete against each other to determine the golf champion of your organization. There is a twist however… Most groups will create unbelievably difficult holes that are practically impossible to conquer, so The Ace Race ® doesn’t just have them compete to build the course… They next have to play the course until one of their members gets an “Ace” (hole in one). This difficulty moves the challenge from being a competition to a team building exercise pretty quickly. (It also adds a LOT of laughter in the process.) As groups move from hole to hole, they must problem solve the best way to Ace each hole. Getting lucky might work on one or two holes, but teamwork will work much better. The energy in the room erupts as each group conquers each of the holes. At the conclusion of the “competition,” all of the food-stuffs are collected by each group. Then they box the items up. At the end, the food items are donated to a local food bank. Needy families in your neighborhood will be enjoying your donation within days. 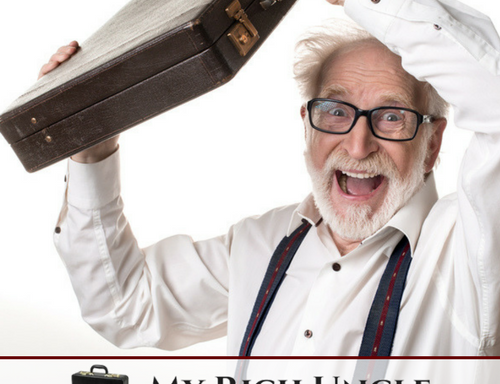 Your company will have the satisfaction of being able to help a needy family while having a lot of fun in the process. 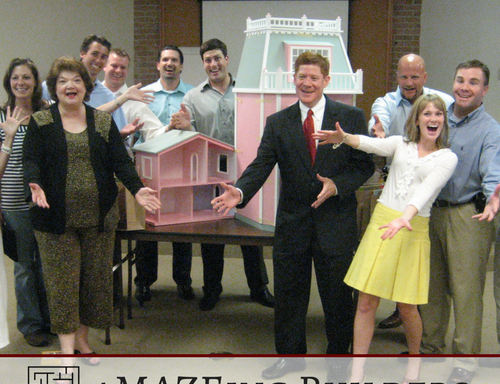 This fun corporate team building event is a real crowd pleaser. It also helps companies conduct a philanthropic or charity event while exercising problem-solving skills. 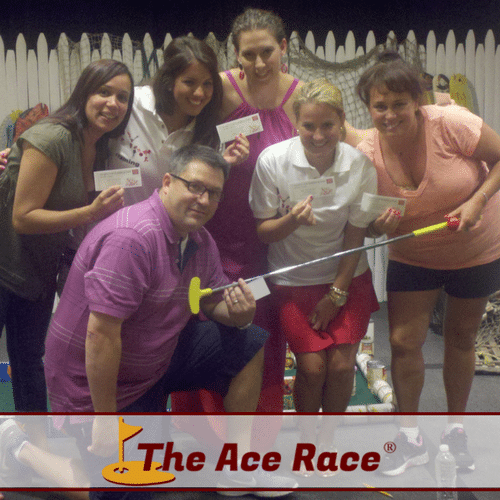 The Ace Race ® Golf Team Event is a nice balance between a fun shared experience, employee development, and a charity donation.